Udupi, Oct 12, 2017: Addressing media on October 11, Wednesday, S.U. Patil, Associate Director of Research/Extension, The Zonal Agricultural and Horticultural Research Station (ZAHRS), affiliated to the University of Agricultural and Horticultural Sciences (UAHS), Shivamogga, will be organising a Krishi Mela at Brahmavar in Udupi district on October 14 and 15. ZAHRS, director said that the Krishi Mela would be held in association with various government departments, Sri Kshetra Dharmasthala Rural Development Project (SKDRDP) and Krishik Samaj. The main objective of the mela was to ensure transfer of the latest agricultural technologies through demonstrations, discussions, field visits in ZAHRS, and seminars. There would be interaction programmes of agricultural scientists with farmers at the mela. “This mela will provide a platform to farmers to find solutions to their problems”, he said. Five seminars will be held during the two-day mela on topics, including “Cashew, Cocoa, Pepper and other vegetable crops”, “Profitable integrated farming systems”, “Water conservation and ground water recharge” and “Cultivation of flower crops”. Eminent agricultural scientists of UAHS, scientists of national institutes and progressive farmers would participate as resource persons. “Farmers can interact with scientists in all these seminars and get their doubts cleared,” he said. Pramod Madhwaraj, Minister for Fisheries, Youth Empowerment and Sports, will inaugurate the mela. Shobha Karandlaje, MP, will inaugurate the exhibition. 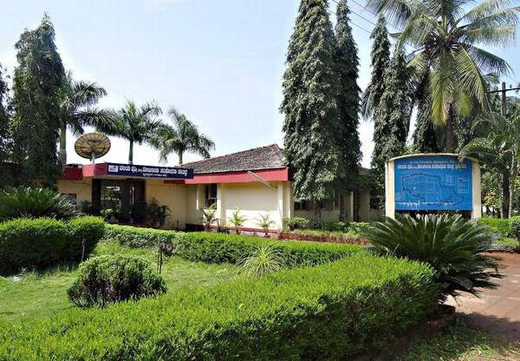 Dinakar Babu, president of the Zilla Panchayat, will inaugurate the Hydrophonics Fodder Unit on the ZAHRS campus, Dr. Patil said.